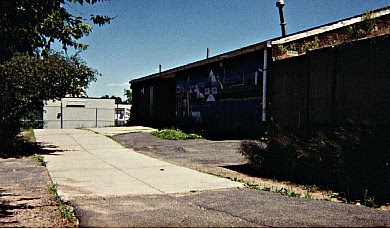 This is a school, SAND (South Arsenal Neighborhood Development) Elementary, at which I taught in Hartford, Connecticut. It has since been demolished in order to discourage gang activity. There were shoot-outs in the school yard. There was no recess outside because of the danger to the children. This is also the school where I found Sammy and Matilda. Of the 20 jurisdictions evaluated, Hartford, Conn., received the lowest score, 37 out of a possible 100. Hartford had the highest number of critical violations, including multiple cases of dirty equipment and utensils, inadequate hand-washing facilities, and poor personnel hygiene. Hartford also had infrequent inspections (on average, one per year, violating the federal requirements for two inspections), poor access to inspection reports, and a weak food code. Other jurisdictions with failing scores include the District of Columbia, with the lowest inspection frequency; Rhode Island; Minneapolis, Minn.; and Hillsborough (includes Tampa) and Dade (includes Miami) counties in Florida. Montgomery County, Md., barely passed, as it has the most outdated food code.